The Justice Department on Thursday is expected to release a redacted version of the special counsel’s report on Russian election interference and Donald Trump’s campaign, opening up months, if not years, of fights over what the document means in a deeply divided country. The report is not expected to place the president in legal jeopardy, as Attorney General William Barr made his own decision that Trump shouldn’t be prosecuted for obstruction. But it is likely to contain unflattering details about the president’s efforts to control the Russia investigation that will cloud his ability to credibly claim total exoneration. And it may paint the Trump campaign as eager to exploit Russian aid and emails stolen from Democrats and Hillary Clinton’s campaign even if no Americans crossed the line into criminal activity. The report’s release will also be a test of Barr’s credibility as the public and Congress judge the veracity of a letter he released relaying Mueller’s principal conclusions. The letter said Mueller didn’t find a criminal conspiracy between the Trump campaign and the Russian government but he found evidence on “both sides” of the question of whether the president obstructed justice. Barr will also face scrutiny over how much of the report he blacks out. He has said he is withholding grand jury and classified information as well as portions relating to ongoing investigation and the privacy or reputation of uncharged “peripheral” people. But how liberally he interprets those categories is yet to be seen. Democrats have vowed to fight in court for the disclosure of the additional information from the report. They are expected to seize on any negative portrait of the president to demand the release of the full report and will be looking for any signs that Barr is trying to shield Trump and his family. In addition to Comey’s firing, Mueller scrutinized the president’s request of Comey to end an investigation into Trump’s first national security adviser; his relentless badgering of former Attorney General Jeff Sessions over his recusal from the Russia investigation; and his role in drafting an incomplete explanation about a meeting his oldest son took at Trump Tower with a Kremlin-connected lawyer. 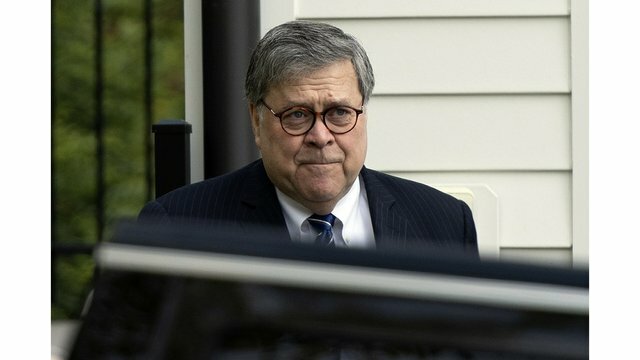 Justice Department legal opinions say that a sitting president cannot be indicted, but Barr said he did not take that into account when he decided the evidence was insufficient to establish obstruction. That conclusion was perhaps not surprising given Barr’s own unsolicited memo to the Justice Department from last June in which he said a president could not obstruct justice by taking actions — like the firing of an FBI director — that he is legally empowered to take. Overall, Mueller brought charges against 34 people — including six Trump aides and advisers — and revealed a sophisticated, wide-ranging Russian effort to influence the 2016 presidential election. Twenty-five of those charged were Russians accused either in the hacking of Democratic email accounts or of a hidden but powerful social media effort to spread disinformation online. Five former Trump aides or advisers pleaded guilty and agreed to cooperate in Mueller’s investigation, including former Trump campaign chairman Paul Manafort, former national security adviser Michael Flynn and his former personal lawyer, Michael Cohen. A sixth, longtime confidant Roger Stone, is awaiting trial on charges including false statements and obstruction.